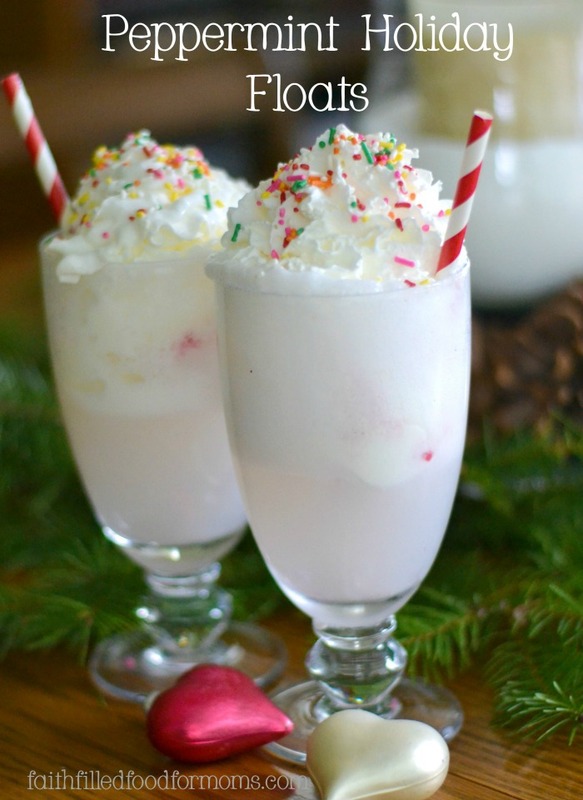 There is pretty much nothing that says holidays more than seeing the Peppermint Ice Cream in the freezer section of the grocery store, begging you to make Peppermint Holiday Float Drink! One of my families most favorite desserts is to have ice cream floats. We have been serving up this old specialty for as long as I can remember, and when asked what kind of dessert everyone wants for special occasions…you guessed it… Floats! We serve it at SO many occasions. 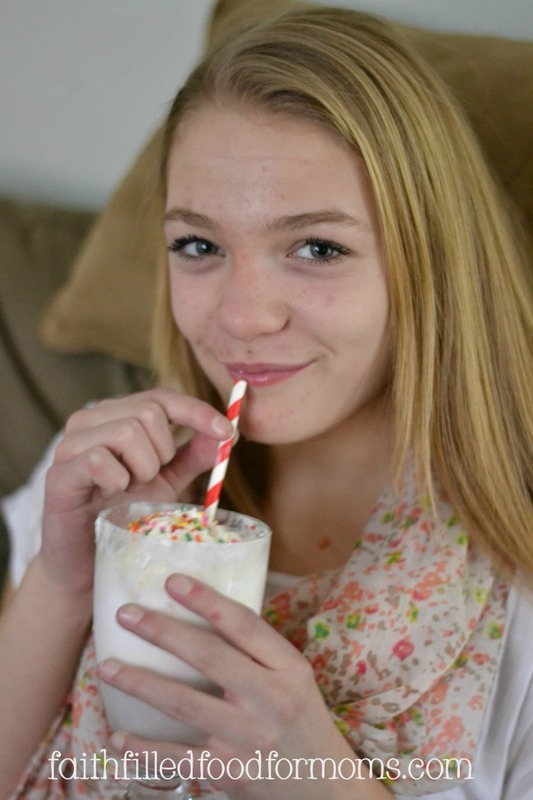 My family loves to have a Float Bar with all kinds of sprinkles, toppings, ice creams and Soda Pops. Floats aren’t just for Summer! 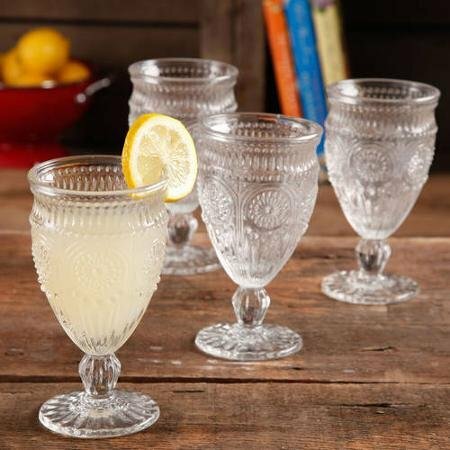 What’s fun is using different kinds of glasses, goblets and straws. Each season you can jazz things up just a bit by adding just a little seasonal pizzazz to your Peppermint Holiday Floats! 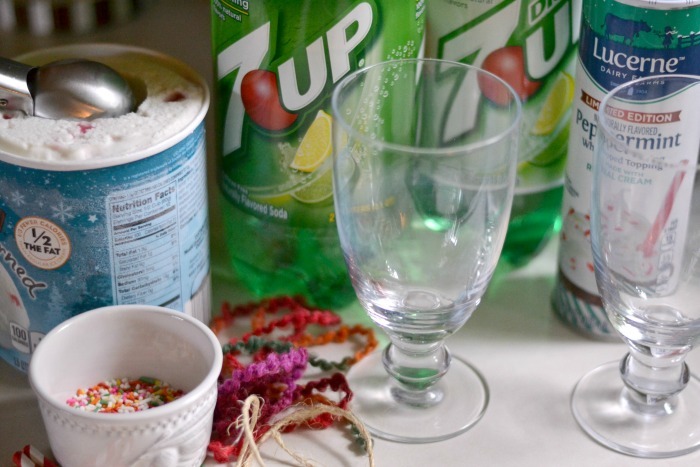 Carefully pour 7 UP over the ice cream. You have to be careful on this part because it foams up. 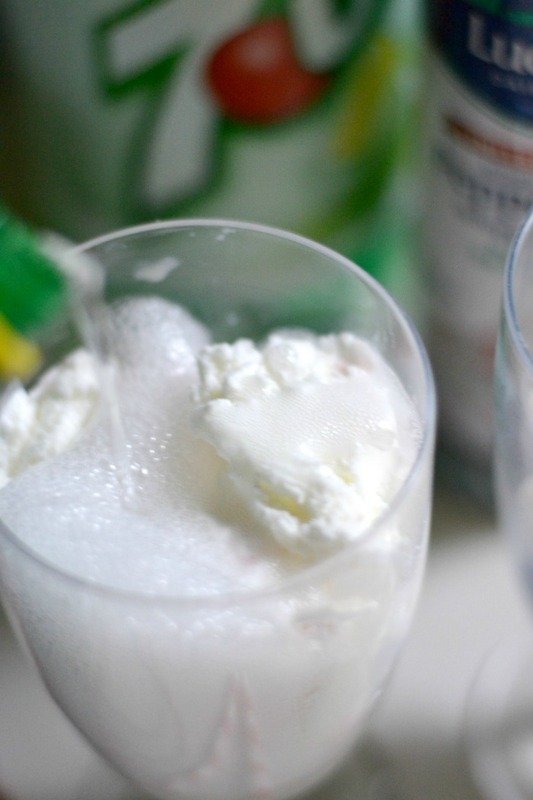 The secret: pour slowly and try NOT to pour the 7 UP directly onto the ice cream. This will help, but it will still foam some. Ooooh this is so deelish! 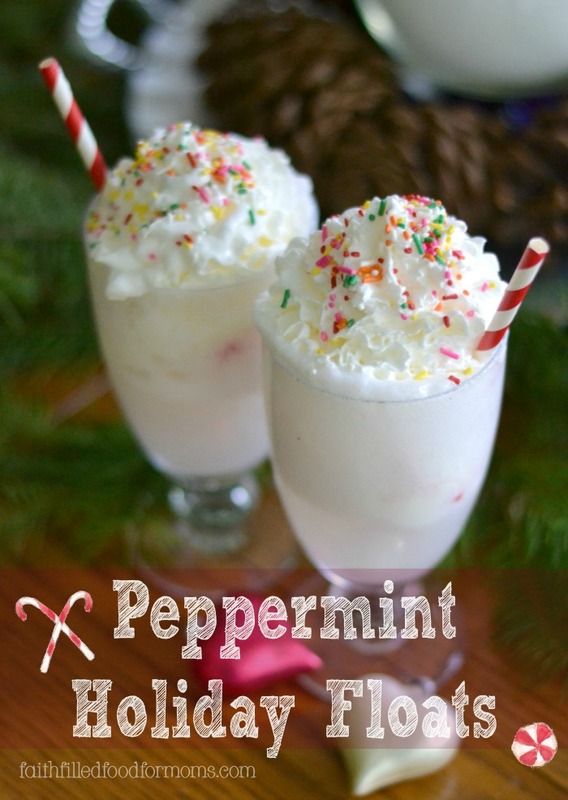 We are all about simple at our house, that is as long as it’s something deelish, and Peppermint Holiday Floats are deeelish! I purchased 7 UP on sale at Safeway for 88 Cents for a 2 liter bottle! That’s a steal of a deal and a pretty inexpensive dessert that will serve a ton of people! 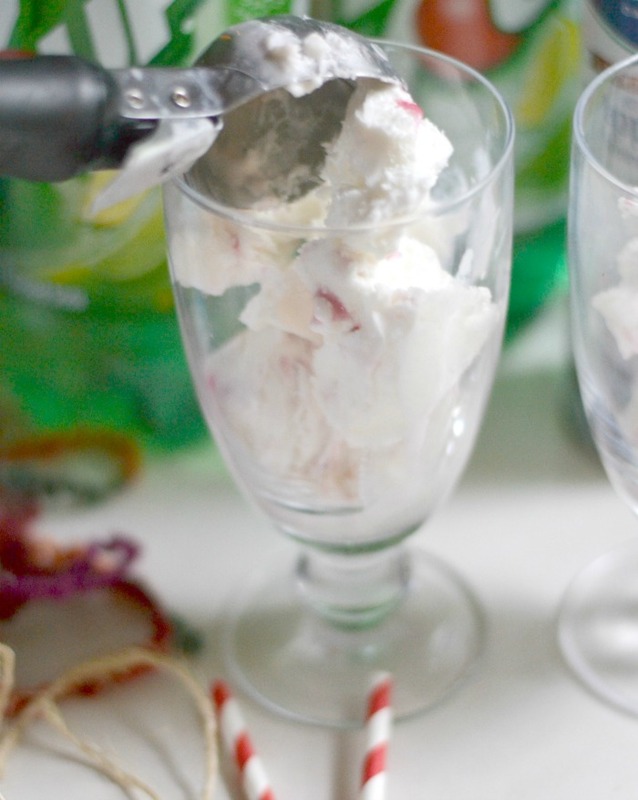 Need more Peppermint in your life? 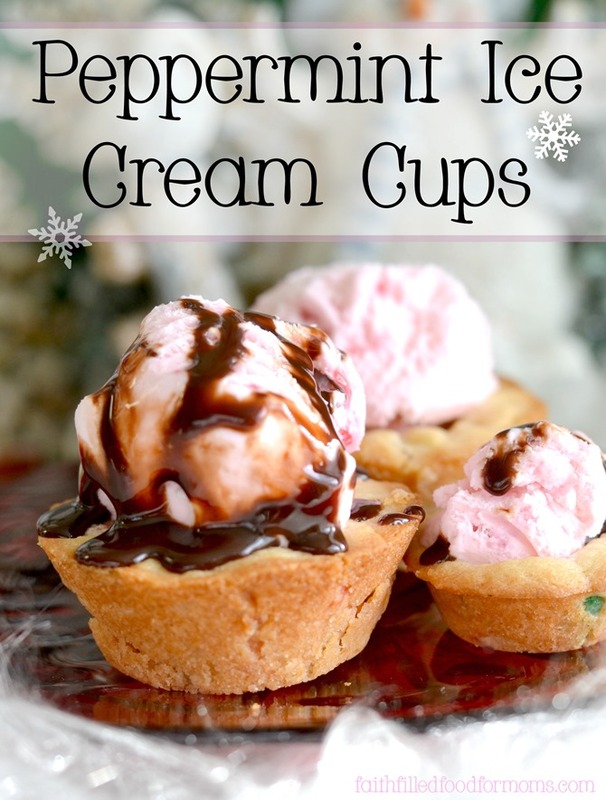 Check out this Peppermint Ice Cream Cup recipe! 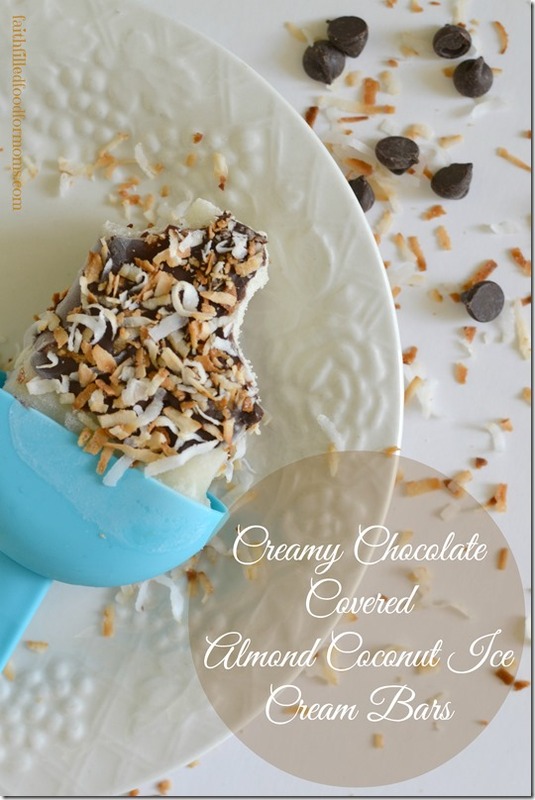 You may also enjoy these delicious Creamy Chocolate Covered Almond Coconut Bars! So glad to see that others love peppermint, too. I love this idea. Thanks! This was the most viewed post from last week’s Try a New Recipe Tuesday! Congratulations!!!!! Be sure to stop by and grab an “I’ve been featured” button from my sidebar for your blog. The post with your feature will be going live momentarily. 🙂 Can’t wait to see what you’ll share this week. Thank you Lisa, it’s an honor! Blessings in the coming New Year!